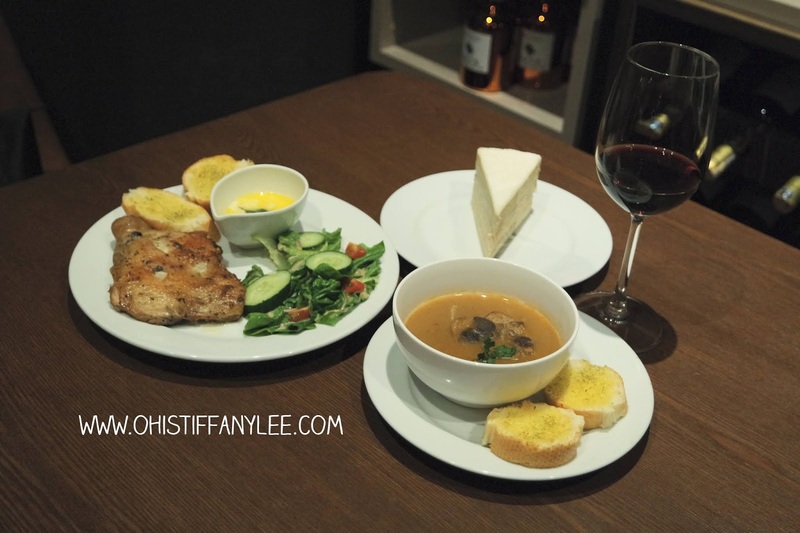 OhisTiffanyLee.com: Food | 3 Course Meal for RM70 just at MANDALA Cafe & Bar! 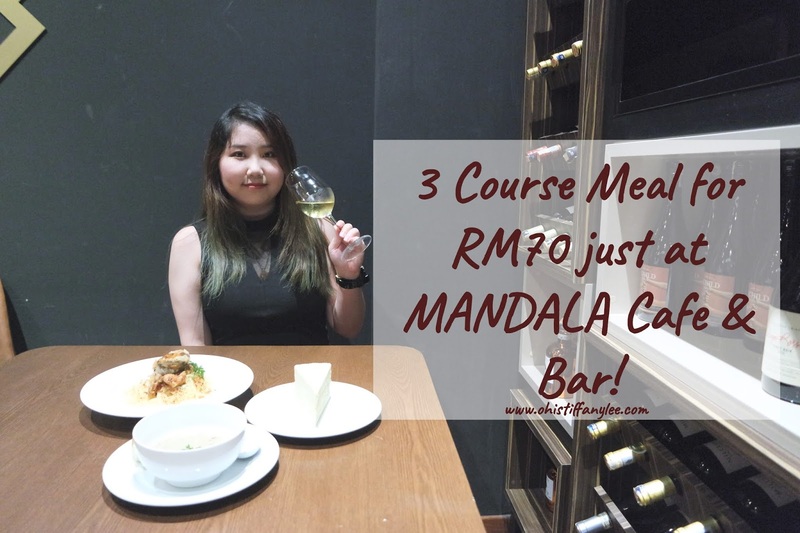 Food | 3 Course Meal for RM70 just at MANDALA Cafe & Bar! Hi berries! How are you doing? Recently I have visited a new dining place which I would like to share with you all! 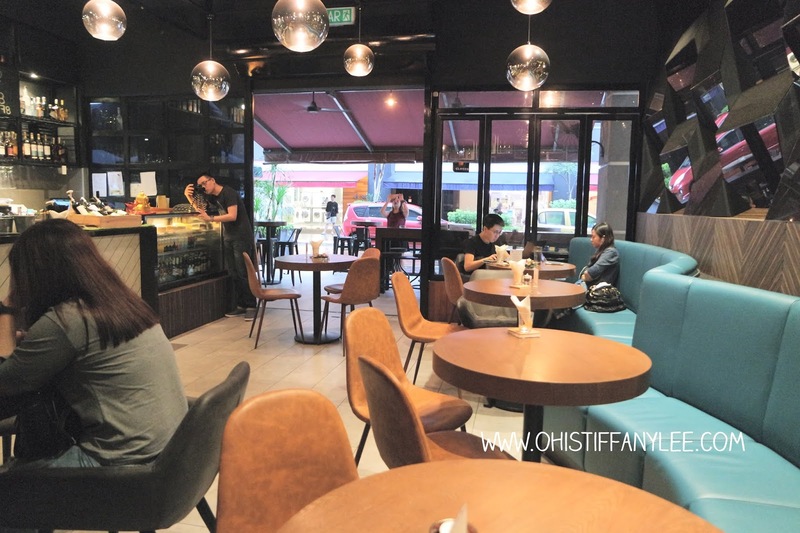 MANDALA is a combination of café and bar located at Publika, Mont Kiara. 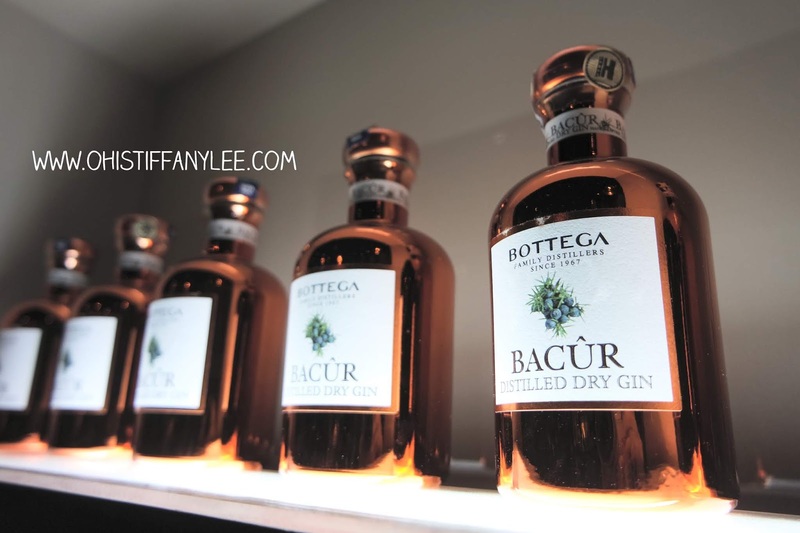 They offered their customers a wide selection of fine wine and western food. Guess what? Even celebrities like Jimmy Choo & Datuk Wira Lee Chong Wei also visited MANDALA before! The interior design of MANDALA makes the place even more fascinating. 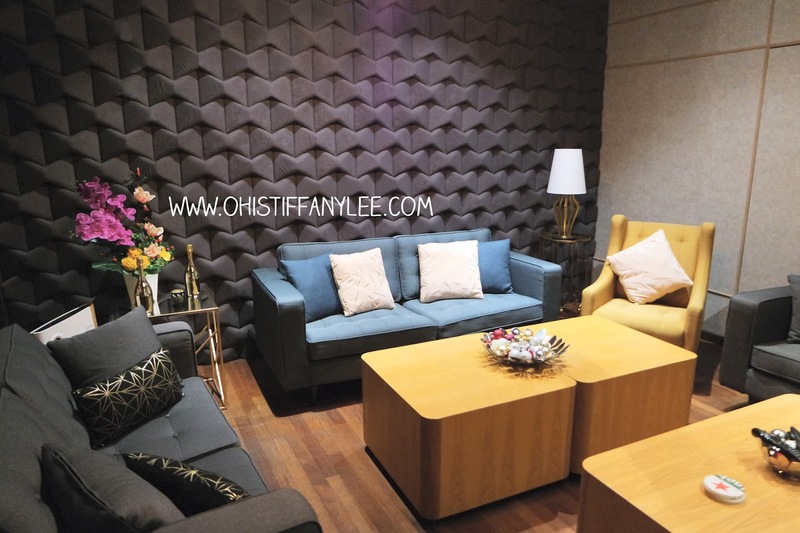 Customers able to enjoy having meals, chit chating, and at the same time enjoy the pleasant atmosphere and environment. MANDALA also have a VIP room behind of dining zone which allow you to organize a mini parties, gathering, events, or any other celebrations(with minimum spending). It's a great zone for you to have a privacy dining moment. 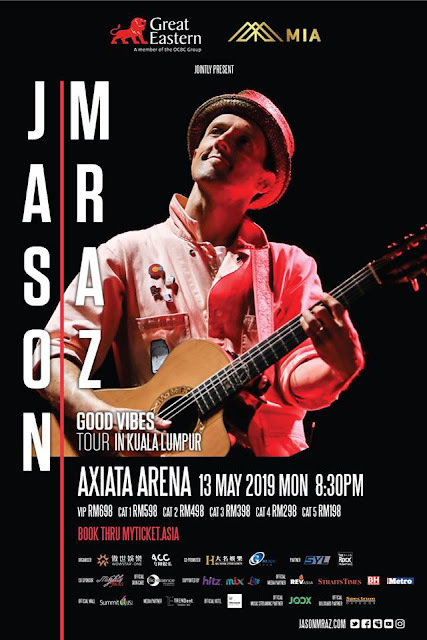 MANDALA just launched 3 course set at only RM70, including starter, main course, dessert, and a glass of their house pouring wine, sound pretty worth right? It is available daily from 6pm to 12am. 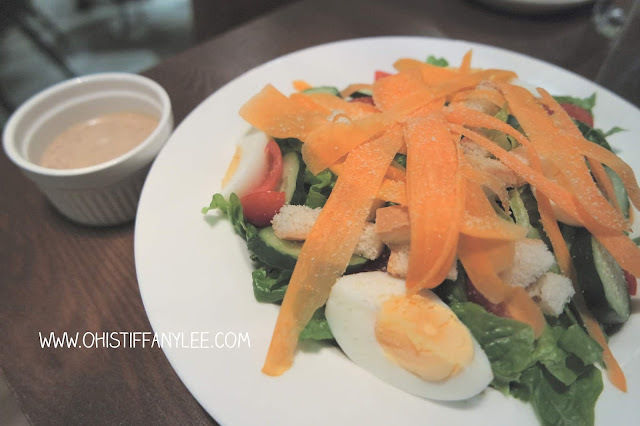 Not only that, you can decided the starter, main course, and dessert based on your preference(from the 3 Course Meal menu), it's just like mix & match. 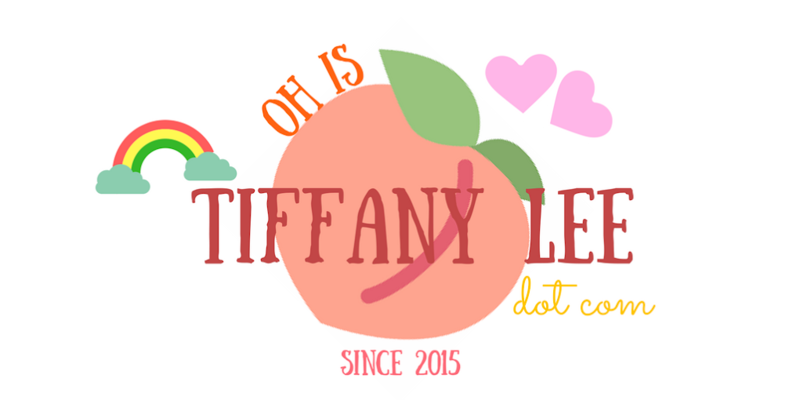 At the same time, they also launched some new dishes, let's check out together! Served with vegetable soup with rich but clear beef broth with garlic toast on side. It taste best while it is still served in hot and drip with crunchy garlic toast. 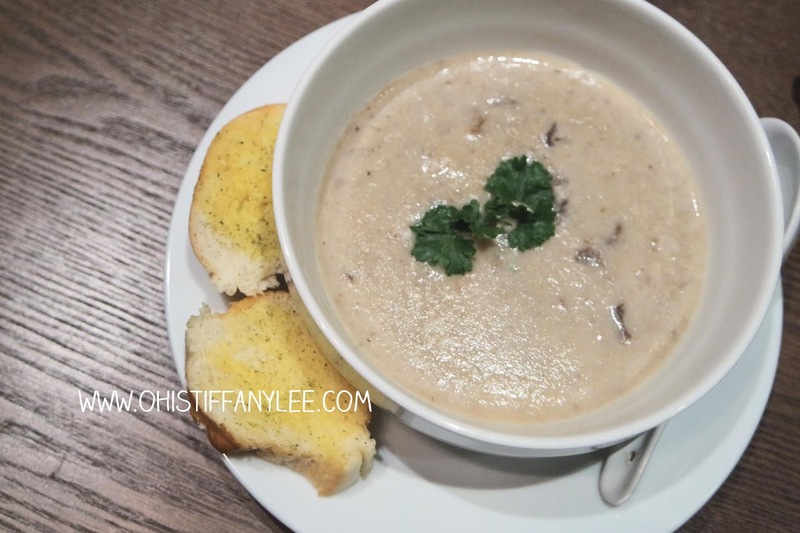 Creamy mushroom soup topped with truffle oil served with garlic toast on side. 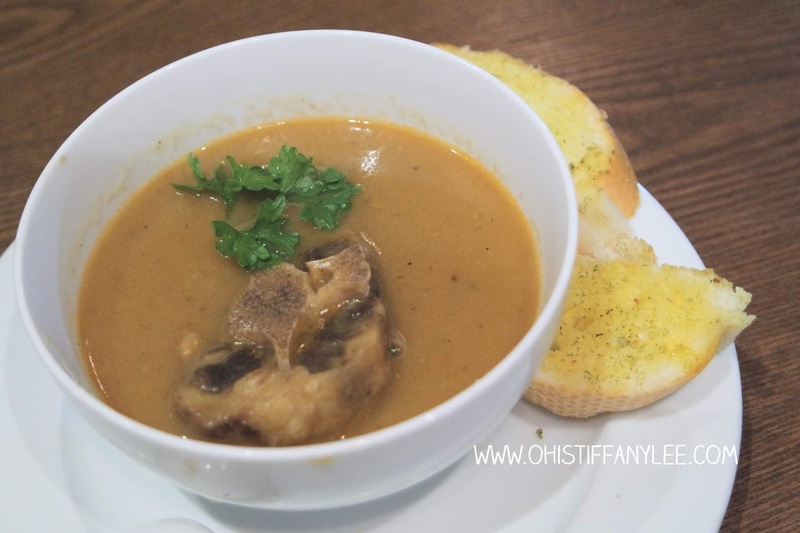 This soup is always a good choice to have it as starter, I love how it taste so creamy! Fresh Green Romaine Lettuce, Cherry tomatoes, Japanese cucumber, Hard boiled egg topped with Parmesan cheese tossed in Caesar dressing. The portion of this salad is really huge and all the vegetables are fresh. 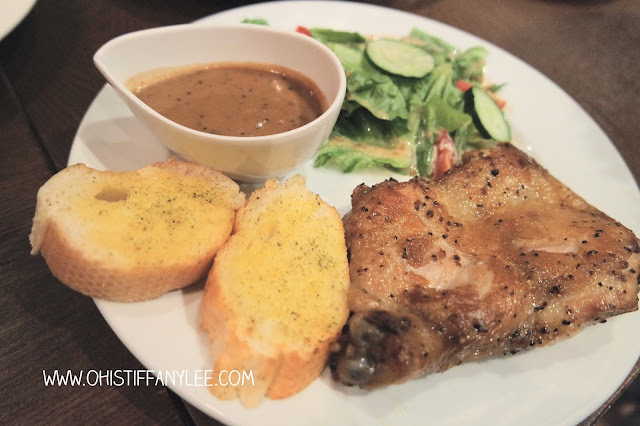 Perfectly grilled boneless chicken serve with side salad and garlic toast. The chicken meat was tender, juicy and packed with flavour, it is really delicious! 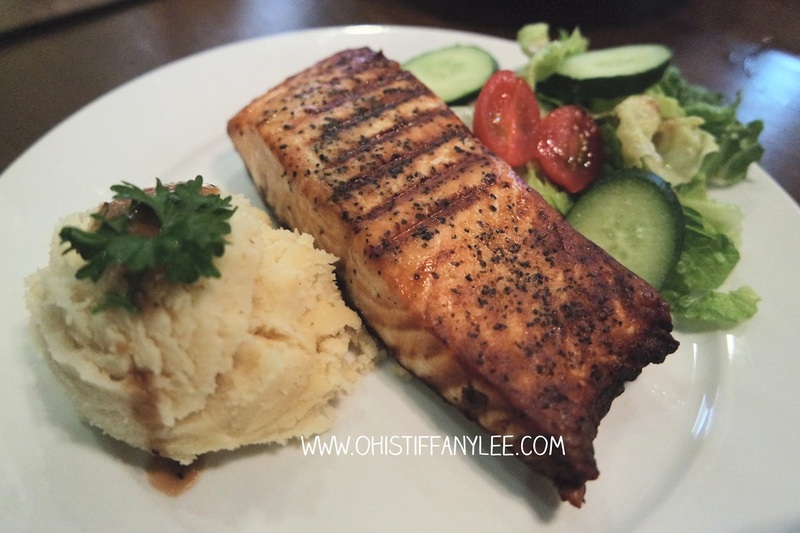 Freshly salmon fillet served with mashed potato on side. I personally think that this dish would be even better with a sauce to enhance the taste of salmon. 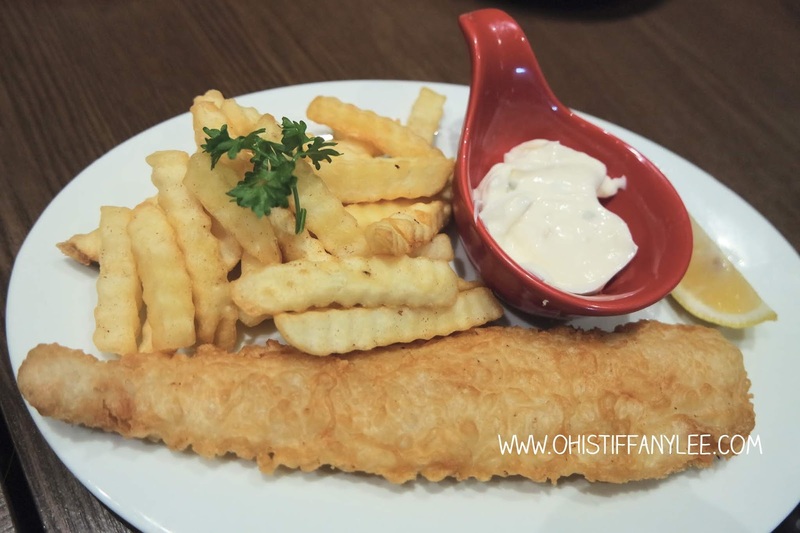 Freshly battered white fish serve with French fried, tartar sauce and lemon. For me it is just a so-so dish among the main courses. 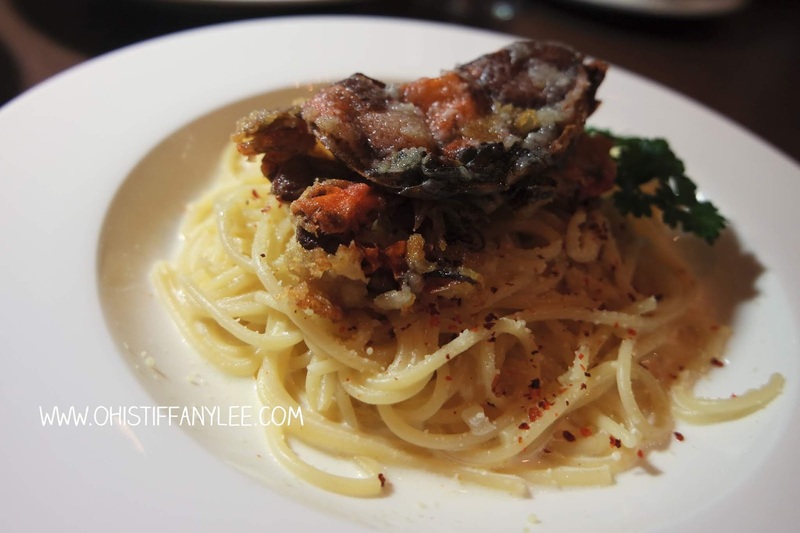 Pasta that served with an Asian twist of buttermilk sauce and lightly fried crispy soft shell crab. The spaghetti were slightly spicy for me but I think this dish is quite worth because it has a entire soft shell crab on top of it. However, the taste of soft shell crab is quite heavy and salty for me. 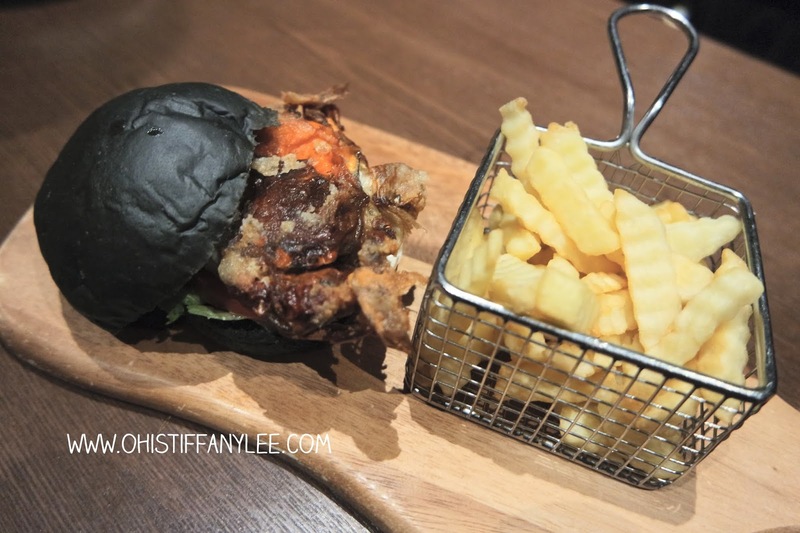 Crispy jumbo soft shell crab served with charcoal bun, french fries and chili sauce. Between the charcoal bun not just only soft shell crab but with a sunny-side egg as well to strengthen savoury taste. 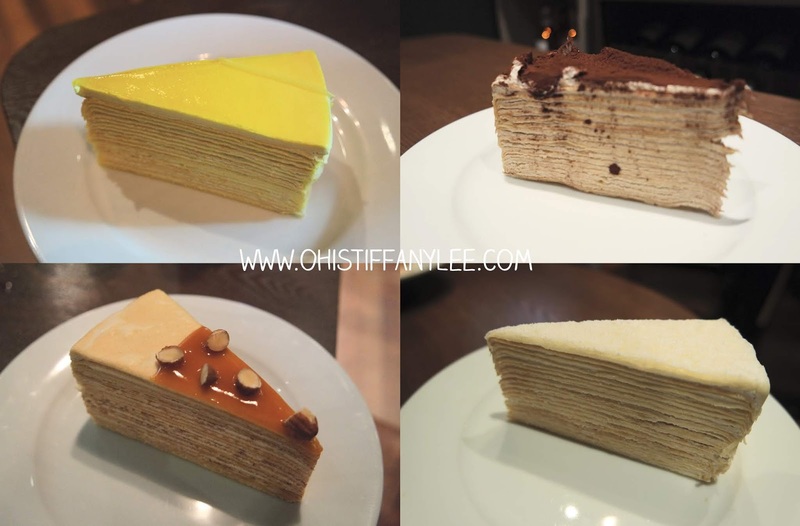 It has many options for crepe cake flavours and I can't decide which is the best because all are my favourite lol! 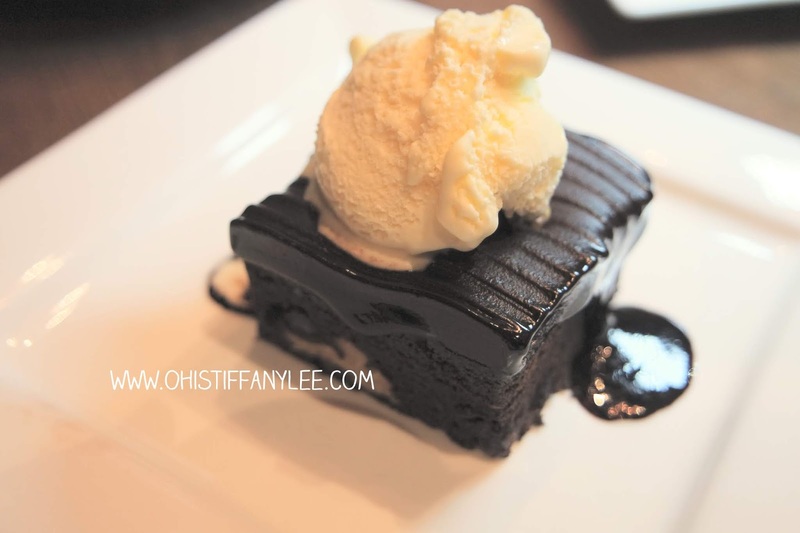 It's not over-sweeten & greasy, even you're not a fan of desserts will also able to accept it. This is my ultimate favourite dessert! I highly recommend this since it has a rich and sweet chocolate taste with vanilla ice cream on top, it leaves hot and cold ! 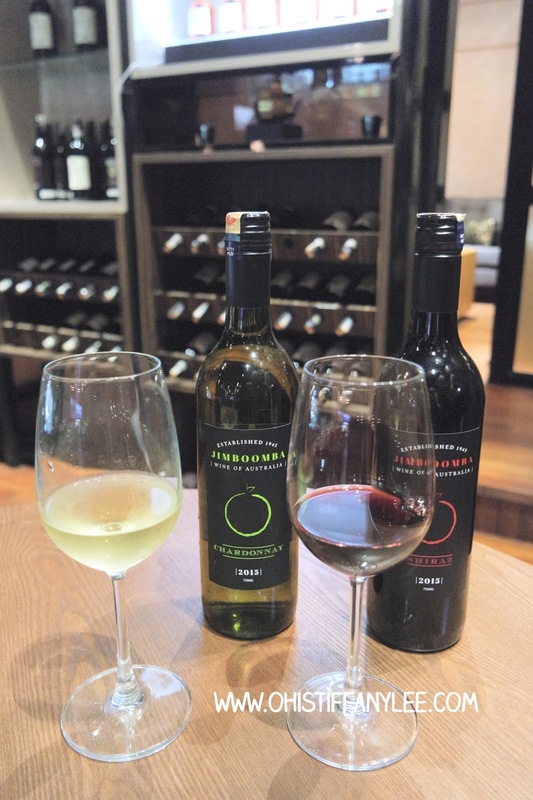 For the house pouring wine you can choose either Shiraz or Chardonnay. 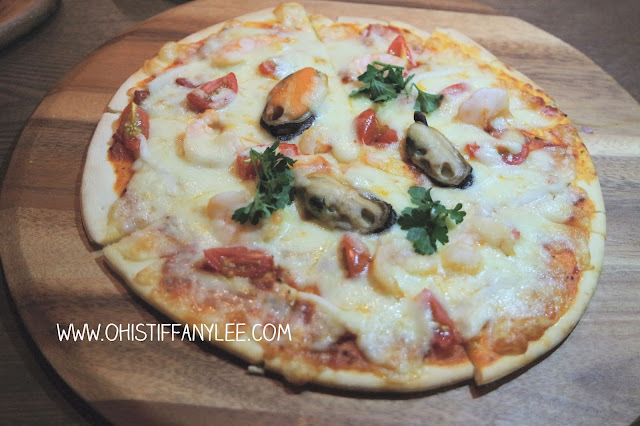 If you love pizza, you should try out this pizza that served with prawns, mussels, cherry tomatoes with mozzarella cheese on top.